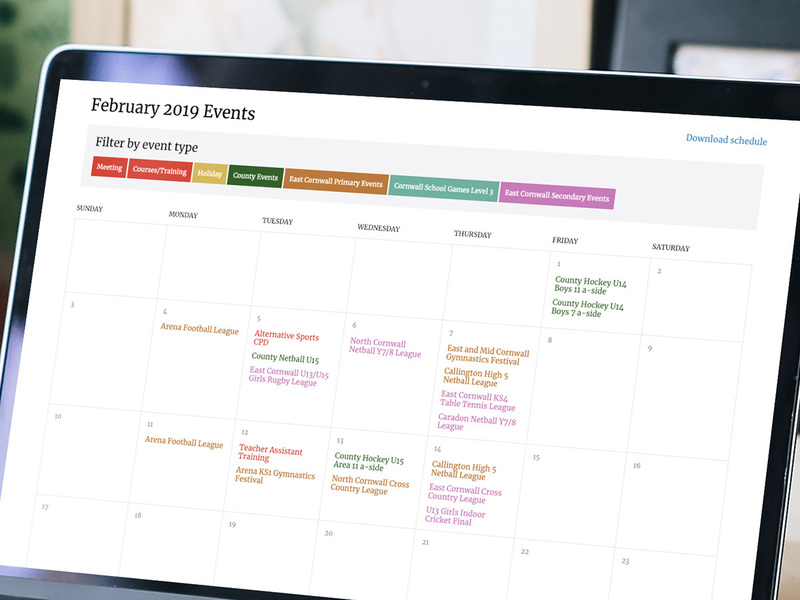 With Sport Connect you'll have an up-to-date schedule of your events available for schools to access on your own website calendar, browsable by date, event type or availability. Different event types are supported including festivals, team events, activities, staff meetings, and training courses. 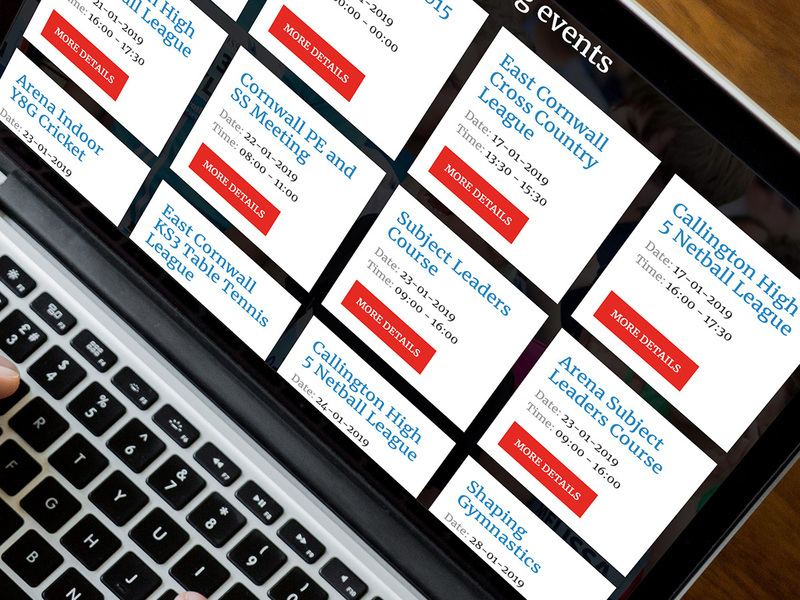 Schools enrol themselves onto your events providing you with all the information needed. The relevant staff are automatically emailed the booking details, saving you time and paperwork. 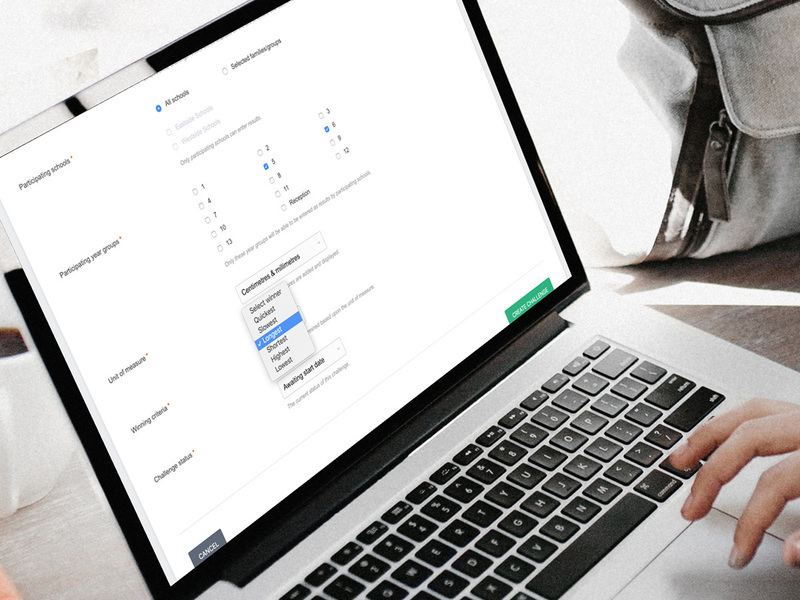 Manage all your events and bookings within your website. Every website comes with a design made just for you. We can create a new brand and logo for your partnership, or maybe you have an existing logo that needs a polish. Whatever your situation, your site won't go live until you are 100% happy with how it looks. 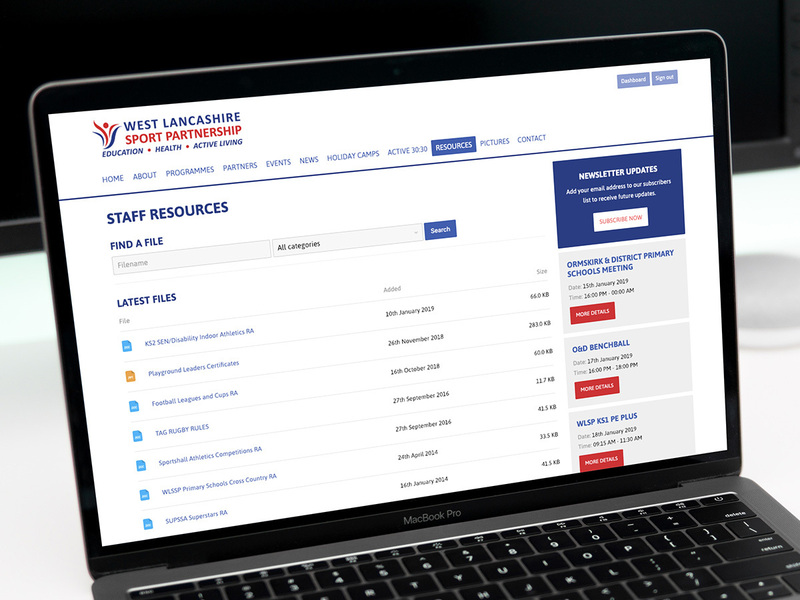 Each website comes with a place for you to store documents associated with your partnership and events. Say goodbye to large email attachments, printouts and USB drives. Keep everything in one central location instead, and control who can see it. 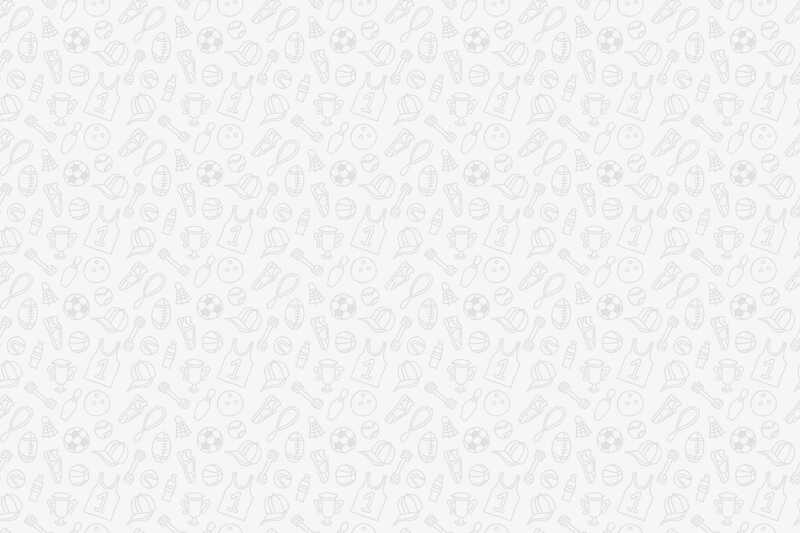 Attach files to events, articles, leagues, pages, etc. Administering leagues can be a time consuming job. Now you can build a league, add schools and set the rules in just a couple of minutes. 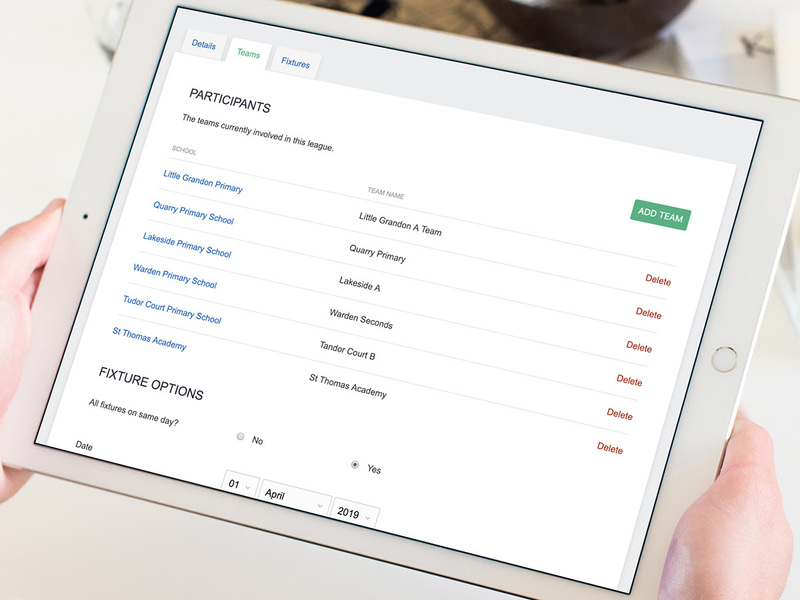 Everything becomes available to schools and is fully managed on your website. Add virtual challenges onto your website, choosing who can take part, how long they will run for and how results will be displayed. Once finished the system will stop new results from being added and work out the winner automatically! Whether you administer challenges yourself or delegate this to a competition manager, you can choose which results to publish and when. 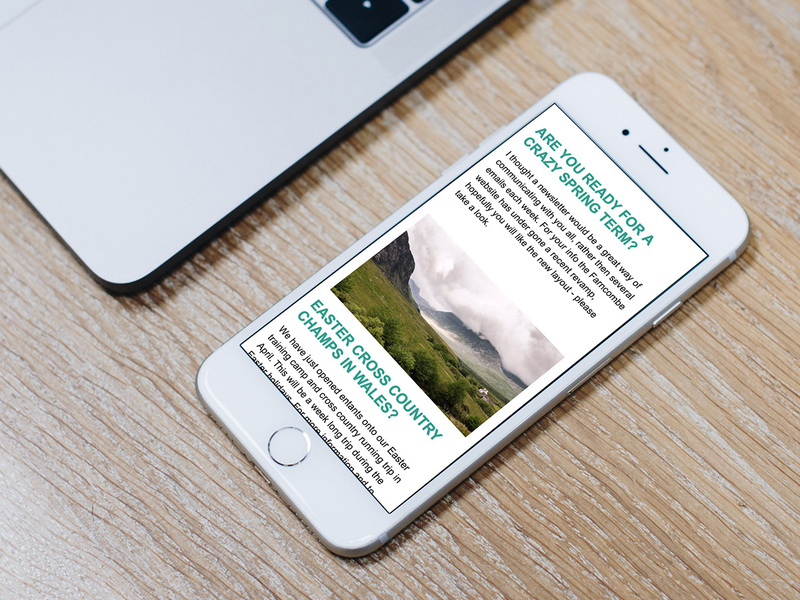 Include our newsletter system and start sending HTML newsletters directly from your website quickly and easily! Keep in touch with your colleagues and site visitors. Add rich content and promote your partnership's news and events with just a few clicks. 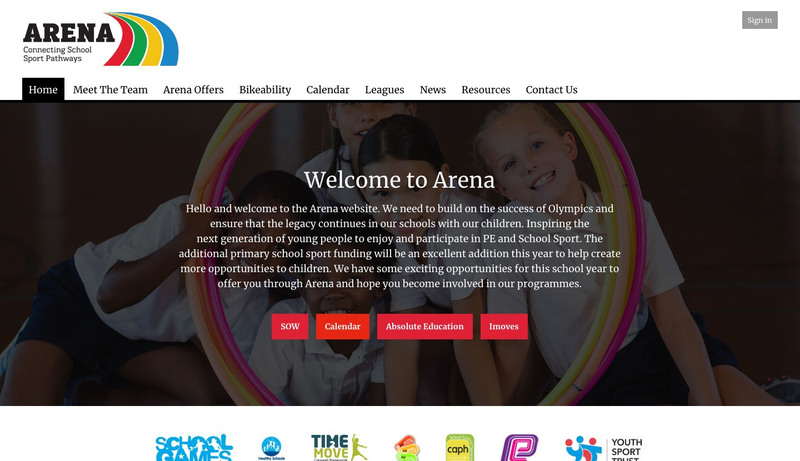 Introduce local clubs to schools and parents by adding listings to your site, including contact details and accreditations. Create photo albums to showcase your partnership's activities to parents, or share images with participating schools. Keep people up to date with the latest happenings in your partnership including pictures and downloadable files. Promote conversation and idea sharing between your staff and schools. Control who can see and participate in discussions. Make it easy for schools to reserve your sports equipment. 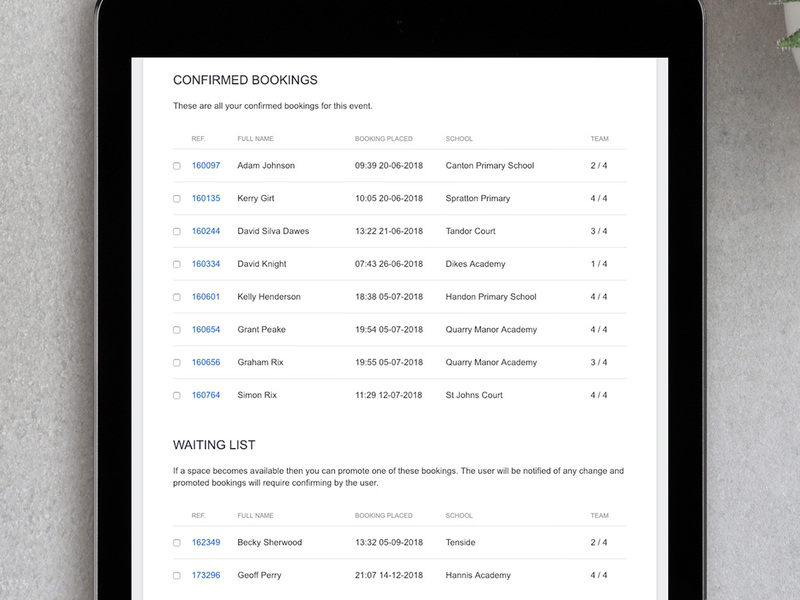 Avoid duplicate bookings and let everyone know where things are.